Ernie Els may be one of golf’s greatest players, but he’s just like any other South African when it comes to sports he enjoys off the course. Louis Oosthuizen likes the Stormers, but the Big Easy loves his Lions. Since Els for Autism was brought to South African shores, the Lions have been proud partners. Whether it’s because they love Ernie, or Ernie loves them, is undecided, but the strong pillar they provide to the team running the Els for Autism programmes is undeniable. ‘As a proud supporter of the Lions, I am thrilled to be working with the union to raise awareness for autism,’ said Els. In the past the team have worn special jerseys with the Els for Autism logo displayed on the numbers. That led not only to further awareness of the cause, but also other opportunities for fans to bid on the jerseys, with the proceeds raising much-needed funding to support the growing autism community in South Africa. The Lions often make players available for the Els for Autism golf days, which adds extra star appeal to the already sought-after series. Although, try as they might, there have been no rugby players teeing off in the final series. ‘These kids with autism need our help and I am so happy to have these great players and role models supporting the cause. 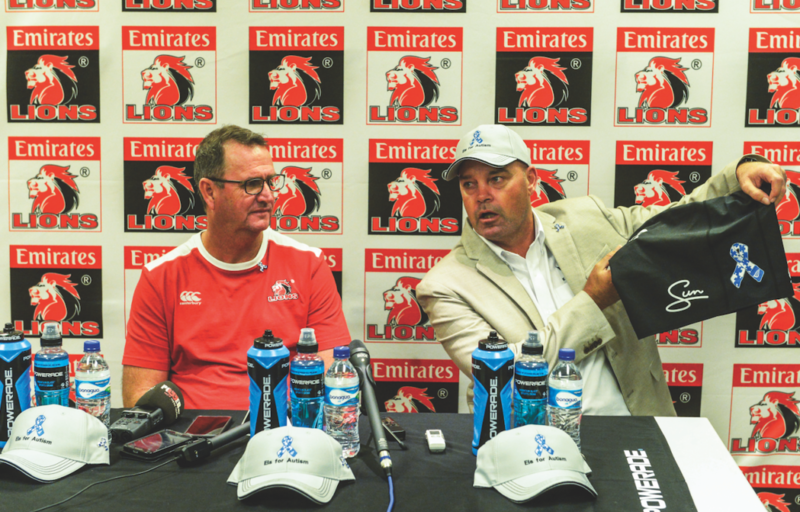 I want to personally wish my team, the Lions, a hugely successful Super Rugby season ahead,’ said Els. Els and his wife, Liezl, continue their tireless efforts to raise funds and awareness around the world. This year, the challenge becomes even more global, after the Big Easy’s appointment as captain of the International side to take on the US, led by long-time rival Tiger Woods, at The Presidents Cup in Australia. ‘Liezl, myself and the rest of the team are so grateful to our family of golfers, fundraisers, donors and sponsors,’ said Els. The Els for Autism Foundation was established in 2009 by Ernie and Liezl Els to focus on autism, a couple of years after discovering their son, Ben, was severely affected by the disorder, which impacts one in 68 people worldwide. Els for Autism aims to provide affected families with best-practice interventions and support. In 2011, Ernie and Liezl initiated a project to create a service that would give lower-resourced families of children on the spectrum in South Africa free access to effective treatment, and the Ernie Els Centre for Autism was born.